Old Time String Band Dance Music for square and contra dancing, flatfooting, and just plain fun, guaranteed to get your feet moving! We learned the music from the first generation and continue playing and teaching it in the Baltimore and Washington DC area.Although no longer able to jump as high as our flatfooting colleagues Kim and Jan, Back Step Cindy can play that traditional music for hours just as we learned it from the masters: Speedy, Blackie, Joe, Melvin, Tommy, Ernie, Gerry, Bob, and many more. 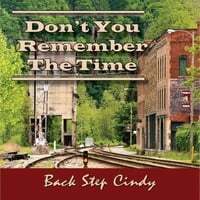 Back Step Cindy includes Sandy Hofferth (fiddle), Howard Zane (banjo), Joe Langley (guitar), and Art Abrams (bass). For A tunes Sandy plays an Oral O. Henderson, Elkview, WV, fiddle, no. 45, made in 1992, with Cherry Blossom carving on the sides. For C, D, and G tunes she plays a German-made Strad-style violin found hanging on the wall sans finish at Renninger’s Antique Market in the 1980s and restored by Dalton Potter. Howard plays a civil-war-style fretless banjo, tuned one-fifth below standard, built by Bob Flesher for the movie “Andersonville (1996),” and played by the actor Ted Marcoux. On the waltzes and marches he plays thumb-lead style, the way he learned from “Uncle Bob,” whose father had been a regimental banjoist for a unit from Alabama during the Civil War. He plays clawhammer and regular “knock down” style banjo on a 1903 Fairbanks Whyte Laydie #7.